Hello Dealsnloot Readers,Here is another app paying free mobile recharge instantly just on signup. 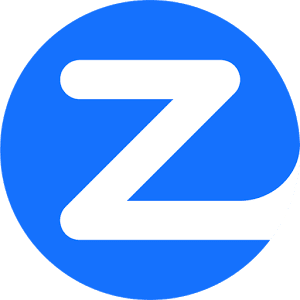 This time its a browser names Zen browser which as a promotional offer paying Rs.10.Zen Browser App – Download and get Rs 10 Free Recharge instantly. 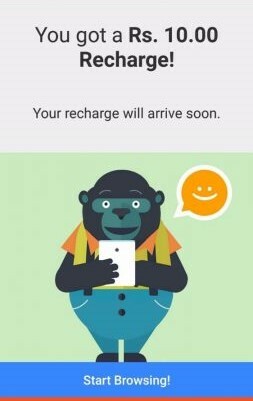 Zen is the first browser in India that gives Free Recharge! This new app is still in BETA TESTING. So Hurry up and get your First Recharge of Rs 10 via Zen browser. So Hurry up Grab This Loot Recharge offer !!! Note : Turn Off your Wifi & Enable Mobile Data if you are using Wifi Network then follow below given steps.This Offer Only Support Your Mobile Data Connection. 2. Now open it and enter your number. 3. Wait for few seconds & let it verify your number automatically or enter OTP manually if you are using some other numbers which is not inserted in same device. 4. After successful verification, enter your Operator details. 5. Now daily surf at least 10 MB using Zen browser and once you surf total 30 MB then you will get Rs.10 free recharge automatically on 3rd day. Get free recharge : Browse your favorite websites and Zen automatically sends free recharge to your mobile phone. Unlimited recharges : Use Zen to get unlimited recharge. The more you browse in Zen, the more free recharge you get! Net neutral : Browse ANY website on the internet and get free recharge. Facebook View: Zen is the best browser for Facebook. Get free recharge for using Facebook. Looks just like the app! Small size: Zen Browser app size is small and lightweight – less than 5MB.